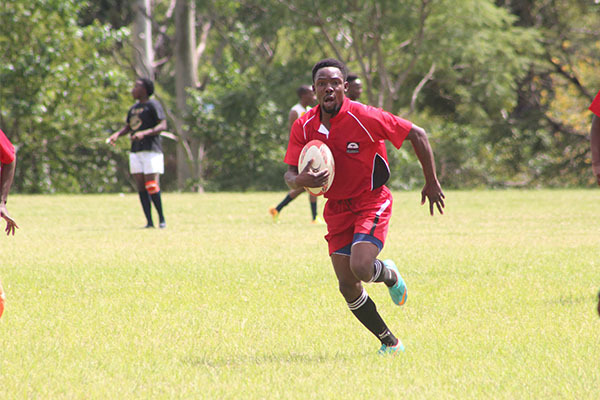 Whatever your level and whatever your sport, at Africa University you'll find plenty of opportunities to stay active. Africa University’s excellent sports and fitness facilities will help you stay on top of your game in an environment that promotes a proactive approach to sport, recreation, health and wellbeing. We aim to give everyone (students and staff) the opportunity to be active, whatever your sport or recreation and at whatever level you want to participate. To establish sport development goals for Africa University up to 2020. To identify the major challenges/constraints to the realization of these goals. To identify the required resources to attain these goals. To present strategies to achieve the identified goals. 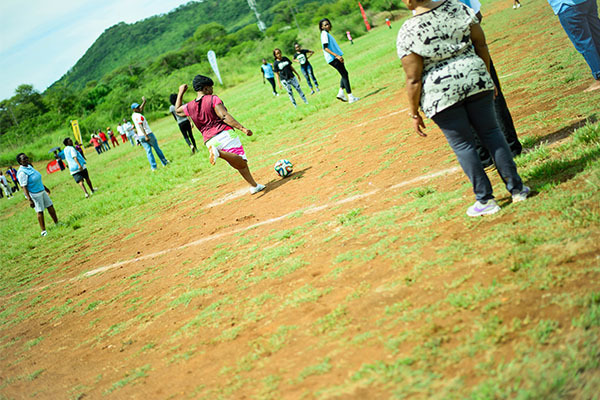 To provide the Africa University community with equal opportunities to participate in sport and recreation at the highest level of which they are interested and capable: hence developing our community as total human beings, enhancing their abilities to excel in sports and recreation, achieve academic success and develop positive character traits that will prove to be of sustaining value for themselves and the community. To effectively promote, develop and manage sport at Africa University within a Pan-African context by providing quality programmes and services. Cricket, Table Tennis, Karate, Hockey, Handball, Golf Taekwondo, Volleyball, Swimming and Athletics. Athletics, Sitting volleyball, visually impaired five aside football, mixed disability five aside football, chess, pool, Darts and total blind goal ball. Rugby 7’s, Volleyball Men, tennis and Athletics. The provision of Sport and Recreational facilities began in a small way with the leveling of two multi-purpose sports fields in early 1997, which are currently being used for football/soccer and rugby. This was shortly followed by the building of a multi-purpose hard court. An additional three multipurpose hard courts were built in 2002. Currently these courts are used for tennis, basketball, and volleyball and five-aside soccer and netball. 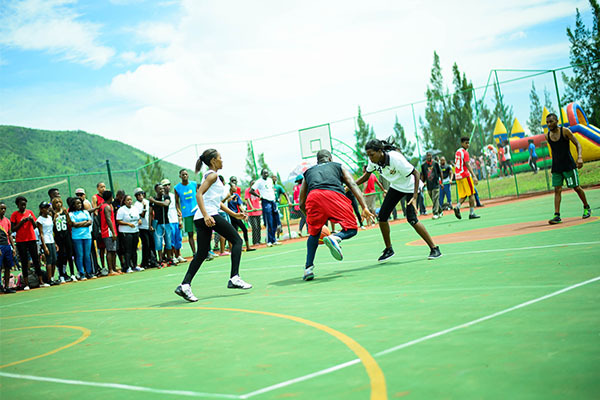 Africa University students and staff have particularly excelled in the disciplines of men’s and women’s basketball, soccer, volleyball and cricket. The recreational level includes internal sport leagues, inter-hostels, inter-years and Inter-regions competitions. 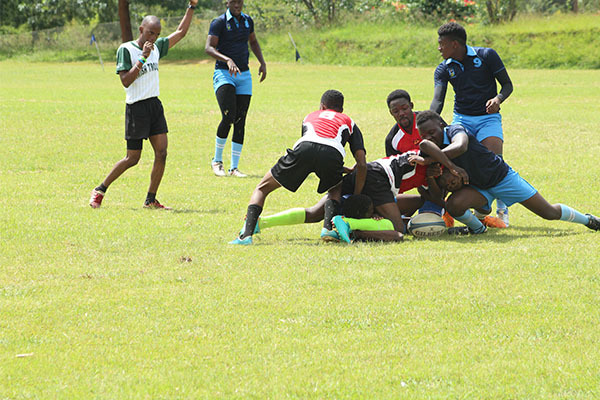 The competitive level includes participating in local leagues, National University Games, National Tertiary Games, Confederation of Universities and Colleges in Southern Africa Games and the World Student Games. As the University grows, it is expected that the Sport and Recreational facilities will also grow. In the near future, the University expects to provide more playing fields to be utilized by soccer, rugby and hockey, and the construction of a full size tartan athletics track. Most exciting of all is the plan to build a Multi-Purpose Sports Centre. Ground breaking ceremony was held in June 2016. 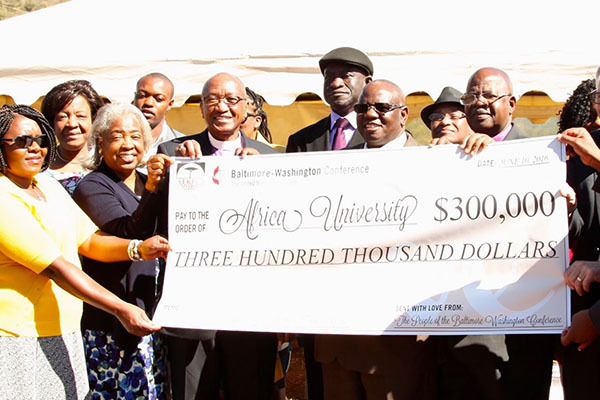 A donation of US$300 000.00 had already been received from Professor. This centre will offer indoor facilities which include Squash, a Swimming Pool, a Gymnasium, a weights room and a Multi-Purpose Hall. These facilities will be constructed in phases and over a period of time. Phase 1 incorporates the leveling of additional playing fields. Phase 2, involves the building of the Multi-Purpose Sports Centre and the construction of a Tartan Athletics Track. Phase 3 includes the construction of more Tennis and Basketball courts. Phase 4 will include the development of a swimming complex. Below are pictures taken during the sporting events..
Indoor Sports Centre at the heart of the main campus featuring the Pulse Fitness Suite. Soccer and a rugby fields (under refurbishment). A Gymnasium at the Faculty of Health Sciences. Pool and foosball in the SU building. 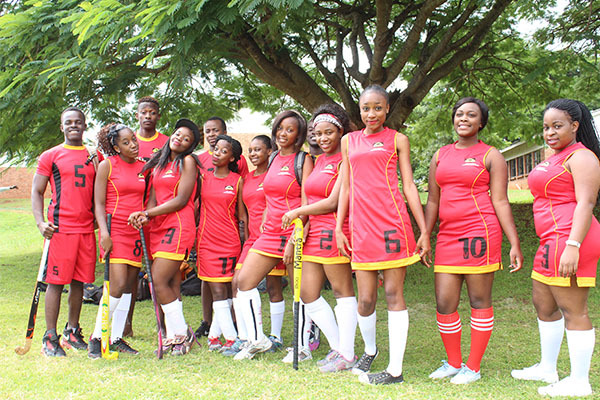 The Africa University Students' Union has more than 20 sports clubs ranging from football to physical fitness clubs. 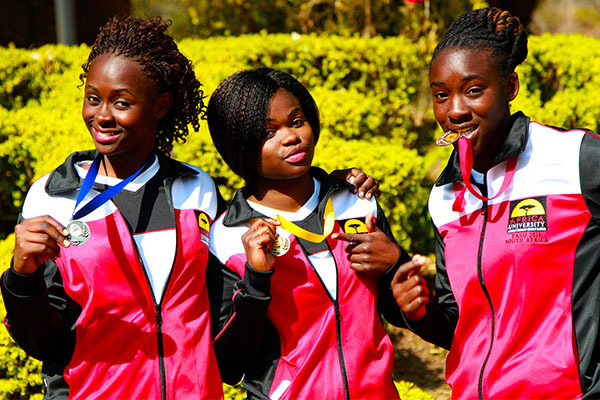 If you're looking to compete at the highest level, you could represent the University in the Zimbabwe Universities Sports Association (ZUSA) games, Zimbabwe Tertiary Institutions Sports Union (ZTISU) and Confederation of Universities and College Sports Associations (CUCSA) games.